So we’re back from house-hunting in Montevideo, after an interesting flight back to Australia on the always entertaining Aerolineas Argentinas. I always think it’s nice when an airline’s computer system doesn’t recognise one’s visa, and when an aircraft’s electrical systems kick in and out without warning in flight; it gives the journey that extra frisson of excitement. Before leaving, we did indeed decide on a property. We chose a renovation project in Parque Rodo, sort of a penthouse with rooftop terrace made from the remnants of an old colonial house. The details are now in the hands of the lawyers. Mind you, we haven’t heard anything from them for a while… but hey, that’s Montevideo. Its so very, very relaxed, which is probably why we enjoy it so much. The architect has sent us some pictures from our Montevideo property using his phone camera. We now have a flat roof, which will form the floor of the rooftop terrace above. In the picture below you can see the kitchen (far back on the right) and the beginnings of the upper floor bedroom above it. 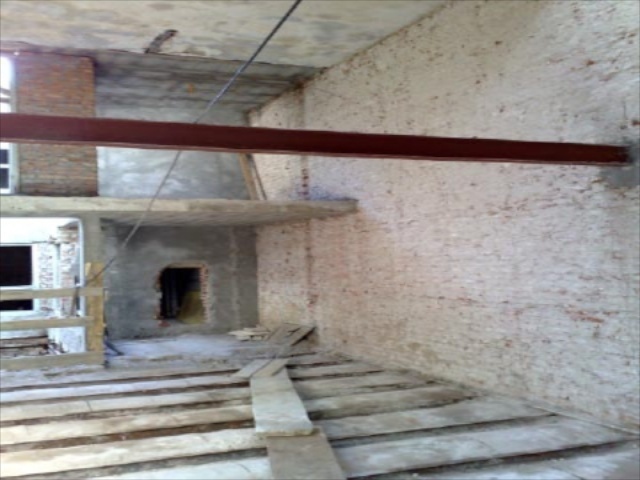 Ultimately the bedroom floor will extend towards us as far as the steel cross-beam. The cameraman is standing in the double-height main living area; behind him will be full-height windows looking out into a wrought iron light well over an Italian tiled staircase. The wooden barricade at the far back on the left indicates the start of our smaller ground-floor terrace, which looks out into another, outside light well. Right now, were trying to get the gas company to fit gas pipes to the kitchen and lounge. This entry was posted in Americas, Penthouse in Montevideo, Travel, Uruguay on 2008/07/11 by Reinhard.